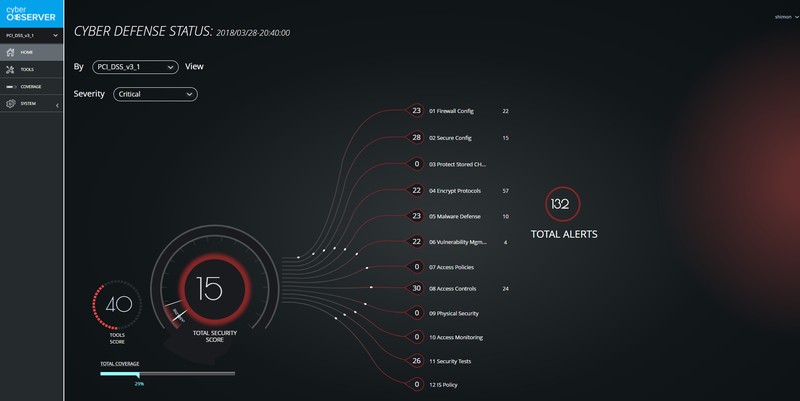 Each one of these are further divided into a number of groups, linked by countless software tools found in the security market today, and monitored in near real time using Cyber Observer’s patented core engine technology. The ObserverSecurity Framework is unique in the world for providing a management framework that consists primarily of software controls and monitors in near real-time and is customizable based on the customer’s needs. CSCs are the most fundamental health checks that every enterprise should employ in order to prevent, alert, and respond to the attacks that are plaguing enterprises today. CSCs are customized to meet the needs of each organization, and quantified to establish baselines for each security domain and for overall security within the cyber ecosystem. Cyber Observer maintains a version-controlled library consisting of thousands of critical security controls, each customized to a security group and for each tool we connect to. These CSCs are health checks, continuously querying your ecosystem and returning data based on what the tool sees and how it’s configured. Cyber Observer Framework supports unlimited CSCs, retrieved from unlimited data sources (security tools and related), unlimited views and unlimited users. Senior managers shouldn’t be bogged down with granular details and operational data – they need comprehensive awareness and high-level visibility. 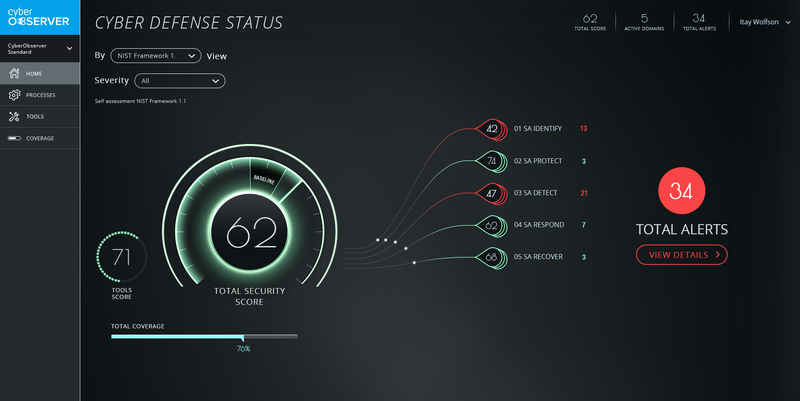 Cyber Observer is designed to deliver those things – fast – using an intuitive, score-based UI. Across the platform, our scoring system delivers information on total score for the network, coverage, domains as well as a baseline score, which delivers insights into the long-term maturity of your ecosystem, cutting through complexity and ensuring the highest priority network recommendations are delivered first. 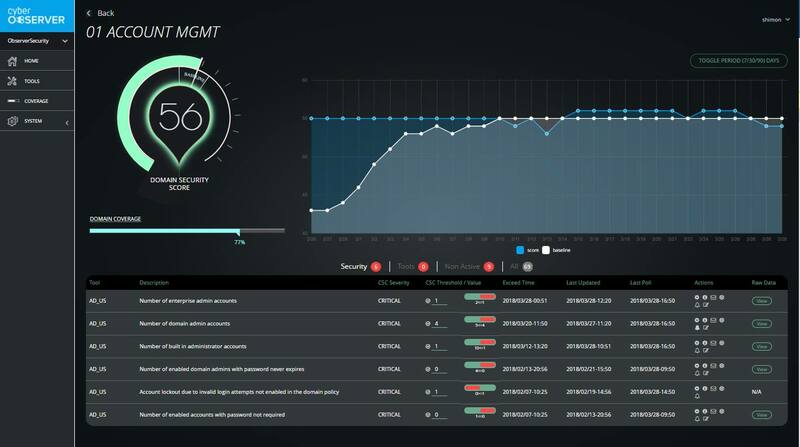 While Cyber Observer comes preconfigured out-of-the-box with the ObserverSecurity framework, it’s common for enterprises to have existing frameworks for cyber risk management and additional custom frameworks designed for specific companies can be added. 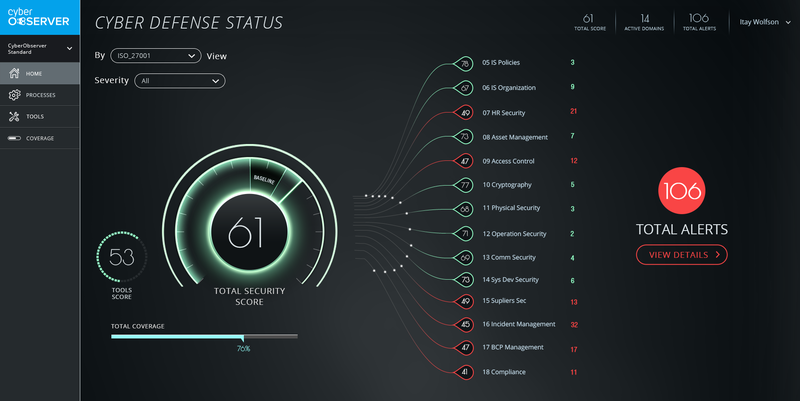 To address the growing complexity associated with network security, Cyber Observer can also deliver comprehensive awareness into your organization according to these international standards, such as NIST, ISO 27001, PCI-DSS and more, augmented to full compliance visibility where required by self-assessment sheets.